Okay you guys, this pudding is for reals. I found the recipe over at Gluten Free Empowerment. They used agave, so naturally I switched it over to honey. You could also use maple syrup or coconut nectar. I also decided to make it into a Frozen Pudding Pie, but you could just make it like regular pudding and eat it out of a jar (like my husband does). If frozen, it comes out a little like an ice-cream tart. You could top with berries or a berry compote, chocolate shavings, chocolate drizzle, or a thick layer of ganache! In a food processor, combine crust ingredients until a bit moist or sticky. Kind of like making nut butter but don’t go that far. You still want it to have a bit of “crumb” to it. 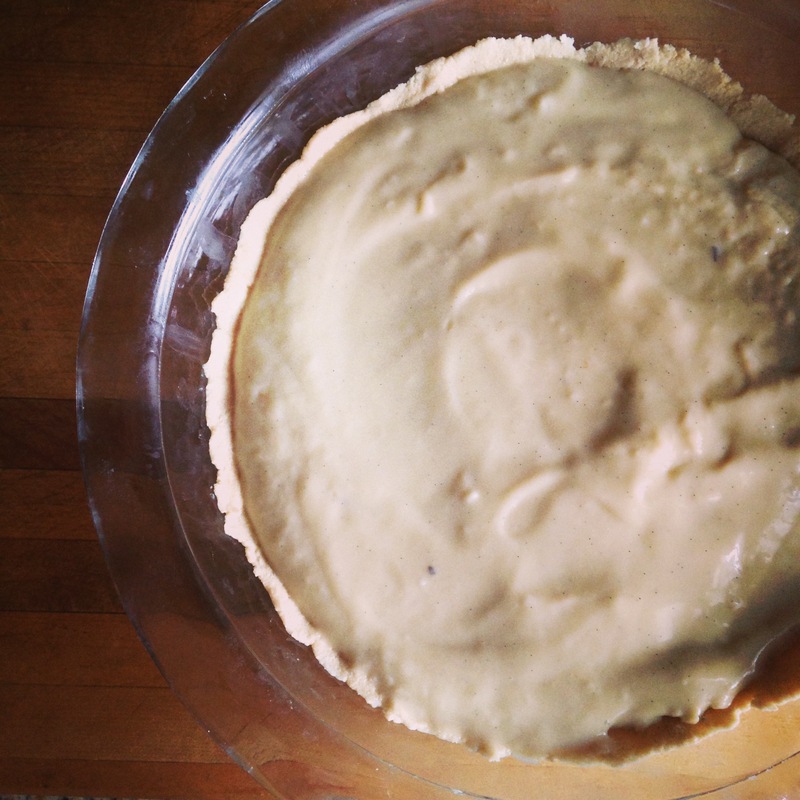 Press the cashew mixture evenly into a pie plate or tart pan (easier to serve). In a saucepan, combine eggs, coconut milk, and liquid sweetener over medium heat, whisk frequently. While milk is beginning to warm, mix arrowroot with water. Mix well… no clumps. Once milk is warm add the arrowroot mixture and whisk constantly until pudding begins to thicken. Once thick, remove from heat and add in the salt and vanilla. Let cool. Pour into tart pan and freeze until serving. Oh this sounds and looks amazing. A must try. Thank you!